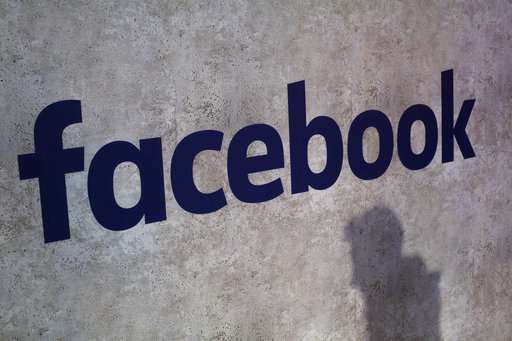 Facebook has shared users' private messages, contact information and other personal data with companies such as Microsoft and Spotify, according to a New York Times report that was alarming even in light of previous disclosures about the social network's practices. Experts say there is not much you can do about information that is already in Facebook's hands. But you can at least find out what the company has on you, and you can take steps to limit how much more it can gather from here on in. Facebook claims it had permission to give companies the data outlined in the Times story, though the company tends to define "permission" loosely . On desktops and laptops, look for the triangle on the upper right corner of the browser. On Apple and Android devices, you can access shortcuts through the menu, denoted by three horizontal bars. Select "settings" and "privacy" to review who has access. You can also change other privacy settings by checking "Timeline and Tagging" in your account settings. Facebook says it didn't violate user agreements in sharing the data. Whether that's true or not, most users barely even look at terms of service notifications before clicking "accept." Reading through one can be dizzying. But it can illuminate just how much access Facebook has to your data and can give users a glimpse of what's going on behind the scenes. Of course, Facebook can change the agreement at any time, says Rich Mogull, CEO of data security firm Securosis, so it can be hard to determine whether Facebook is violating any terms or not. That's on purpose, he says. "Look how long the agreement is," he says. "It's written by the best-paid lawyers in the world." Tim Bajarin, president of consultancy Creative Strategies, says in light of the recent news on what Facebook is doing, he has changed the way he uses the service. While he used to share photos of family, now "it's mostly dogs and cats," he says. Experts advise that if you are worried about what Facebook does with your data, limit your time on the service and minimize posting. Essentially, assume all information you share is public, regardless of any privacy settings. Also, avoid clicking on any ads or posts; that will limit Facebook's access to your data. Even if you can't stop Facebook altogether from using your data, you can at least take a look at what it has on you. And it is probably a lot. Facebook allows people to download all of their data that the company has collected. Under "Settings," click on "Your Facebook Information" and "Download Your Information." You will get a file with every photo and comment you've posted, all the ads you've clicked on, stuff you've liked and searched for, and everyone you've friended—and unfriended—over the years. Bajarin says connecting with friends and family is still worth the risk of sharing his data. "But I'm becoming more targeted about who I communicate with, and I'm taking more control of what I post and what I don't post," he says. Mogull says users have to determine for themselves whether it is worth it to stick with Facebook. Because of the way Facebook makes money—using extensive user data to sell advertisers finely targeted ads—"your best interest is not in Facebook's best interest," he says. "What can you do to protect your data on Facebook?" "your best interest is not in Facebook's best interest,"
It's foolish to be on Facebook anymore. It has Always been foolish to be on Facebook and all the MySpace type sites and personal web sites which came before it. Way too much personal information exposed to THE WORLD. It's like leaving your doors unlocked. A woman in my neighborhood (I live in a quiet part of town) was assaulted in her home, in the middle of the day. Her door was unlocked. A neighbor, on the news, said "Gee, I guess I'll have to keep my door locked, from now on." I don't care if you live in New York, LA or the West Texas desert. Keep your doors Locked. When you are on line, keep your "doors" locked. Your information is already too easy to get, don't make it any easier.